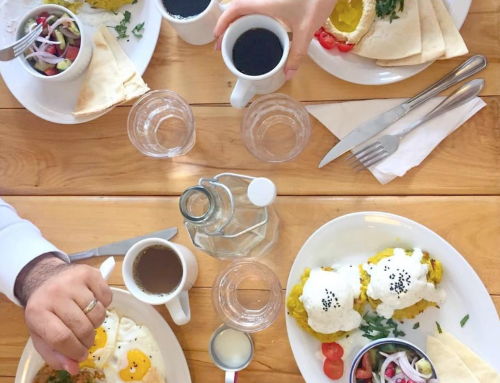 The food in this small island is as diverse as the landscapes and cultures you experience while traveling. 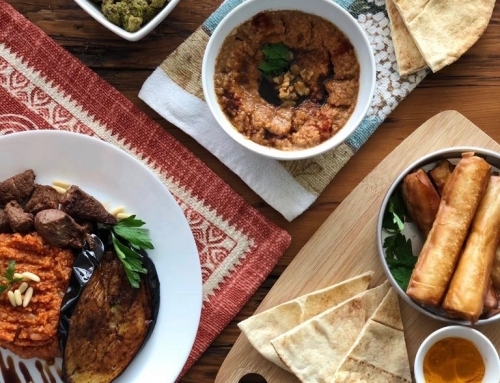 We’ve tried some of the best street food, southern specialties, sea food , drinks, and we’ve put together a list of the 13 Sri Lankan Eats we highly recommend you try on your vacation there. 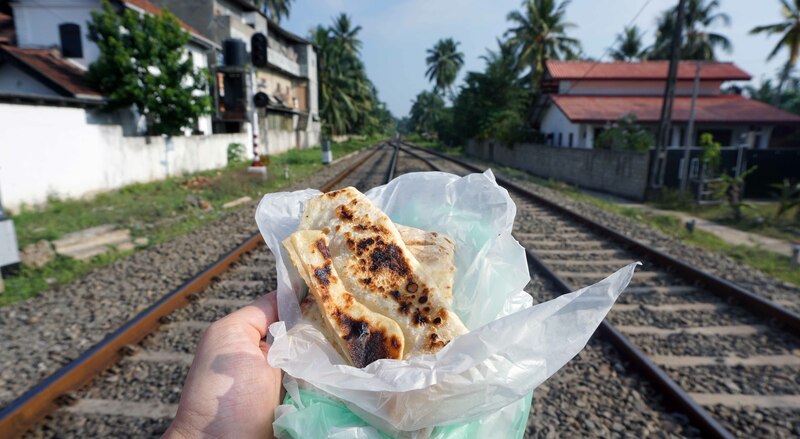 Roti is a popular street food you can find in small shops or carts all over Sri Lanka. If you visit one in the morning, you would catch them preparing the batch for the day. 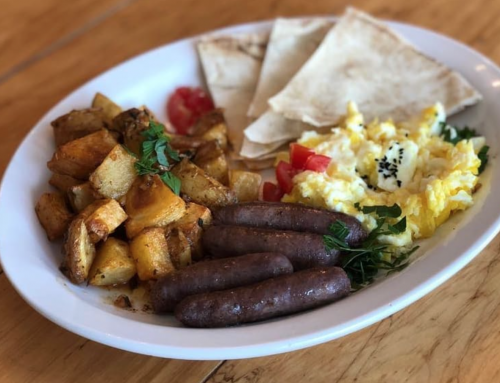 They’re filled with either eggs, cheese, or chicken. The roti we tried was stuffed with eggs and spiced onions, the spicy onions gave a great touch to the snack. 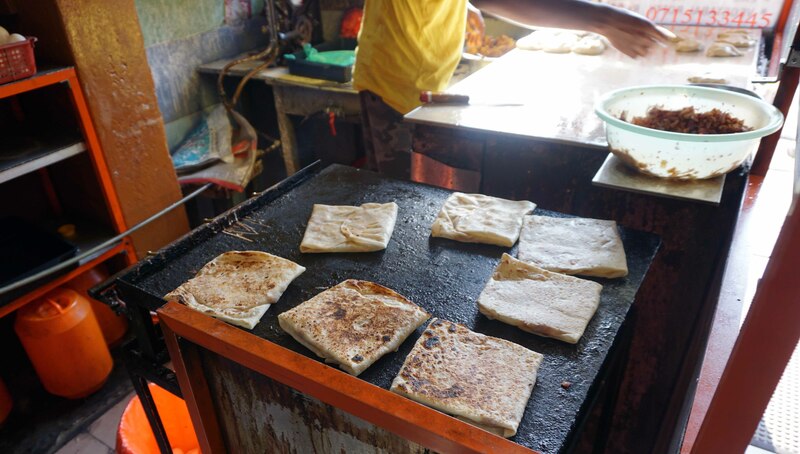 Another popular street food is a dish created with left-over Roti. 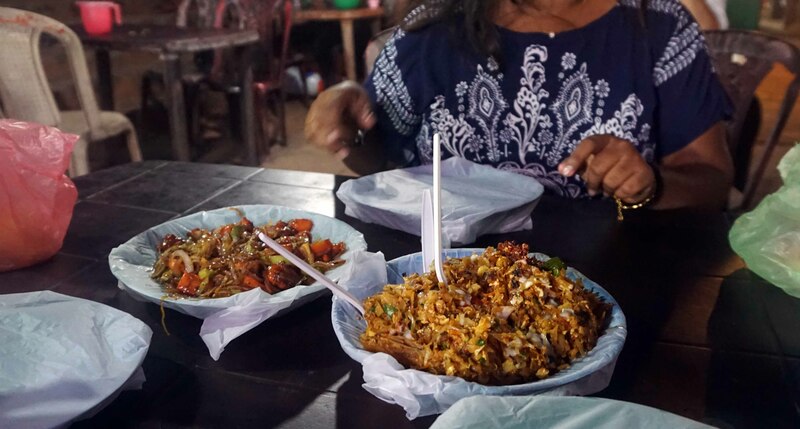 Kothu is made by chopping up the Roti on an flat cast-iron plate then mixing it with chicken and stir fried vegetables. The sauce added to it is a mixture of sweet and spicy. You can tell that you are close to a Kothu shop by the sound of the blades repeatedly hitting the skillet as they are being made. It is said that this dish was created to not waste left-over rotti from the previous day. We have to admit, this was on of our favorite Sri Lankan eats. The mixture of bread, chicken and vegetables make it a good filling meal. Ambul Thiyal is a famous southern dish made from tuna. We were lucky enough to learn how to make it in a cooking class by Meena, at her home in Galle. We bought the fish ourselves then headed back to her kitchen to cook it along with some other dishes. 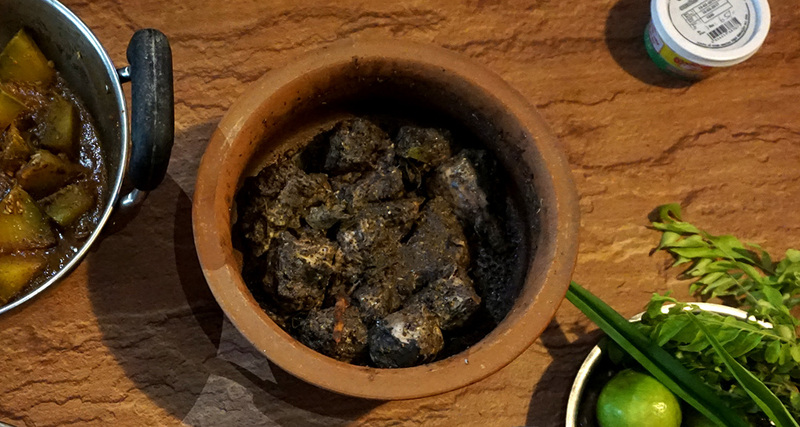 The tuna pieces are rubbed with pepper and goroka then boiled with curry leaves, chillies and rampe till it dries up. Goroka is a paste made from tamarind and gives the dish its distinctive sour taste. 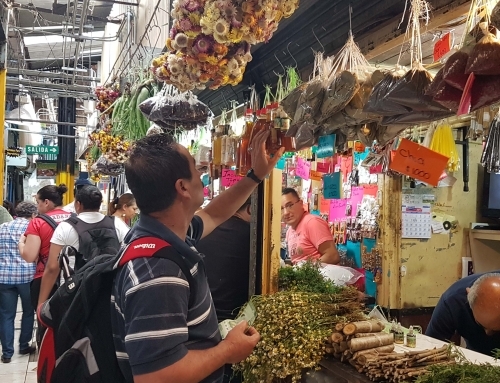 It also acts as a preservative, the cooked fish can last up to a week without a refrigerator. 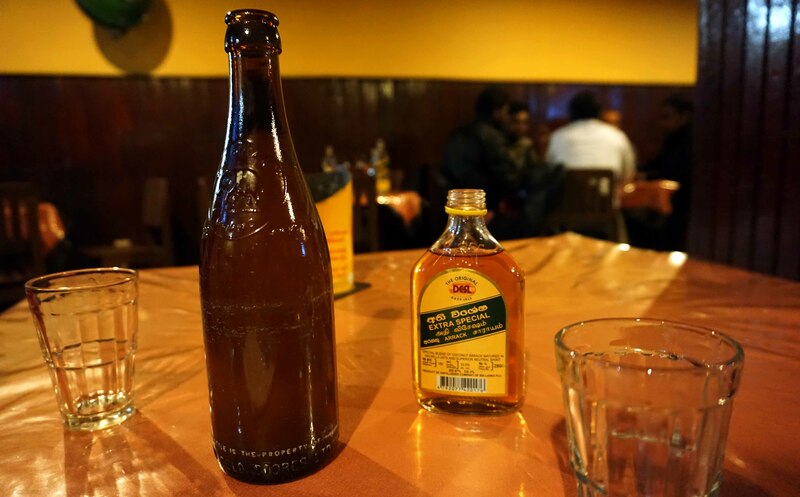 Just one visit to a Sri Lankan bar and you can tell that the favorite local drink is Arak, a drink made from coconut sap. We decided to do as the locals do and made this our drink of choice during our stay. It has a taste in between rum and whiskey and works fabulously well with mixers like sprite, coke, or ginger beer. Perhaps one of the best known dishes outside Sri Lanka, Deviled shrimp did not fail to satisfy our hunger with the lovely combination of sweet and spicy. Walk into any sweet shop, and you’ll find these delicious delights. 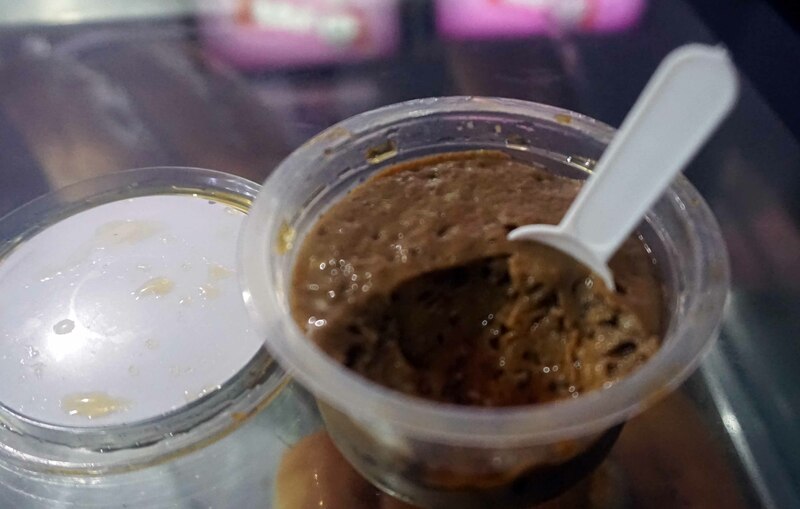 The milky taste makes it very close to it’s Indian counterpart but with the addition of fruit pieces which seems to be a common ingredient in many Sri Lankan desserts. Beetroot curry really exceeded our expectations. 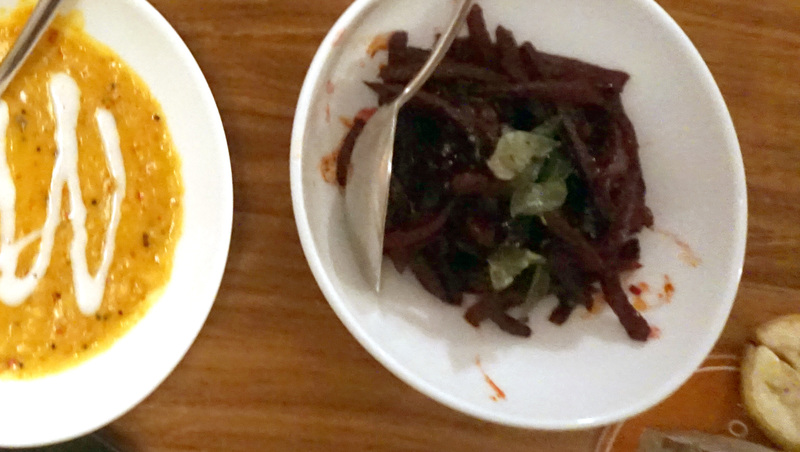 It consists of boiled shredded beet root mixed with chilli and curry spices. Just like the deviled shrimp, the combination of the sweet beet root and spices give this dish a great edge. 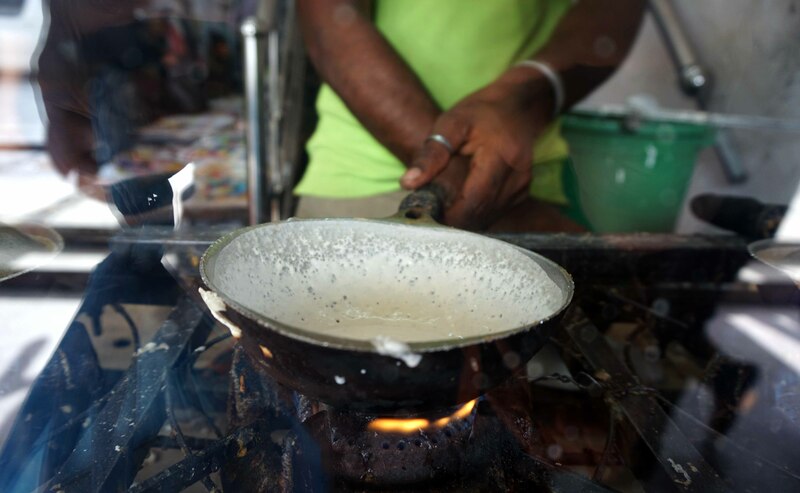 Perhaps the most popular street food in Sri Lanka, Hopper is a crispy dough made of a rice flour batter and cooked in a curved iron skillet. 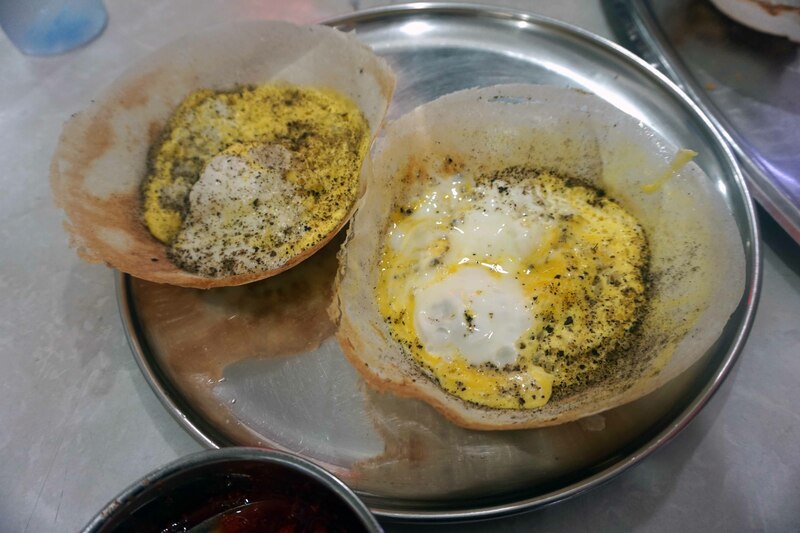 It can be eaten plain with some sambar (chilli paste), filled with eggs, or as a sweet with jaggery. 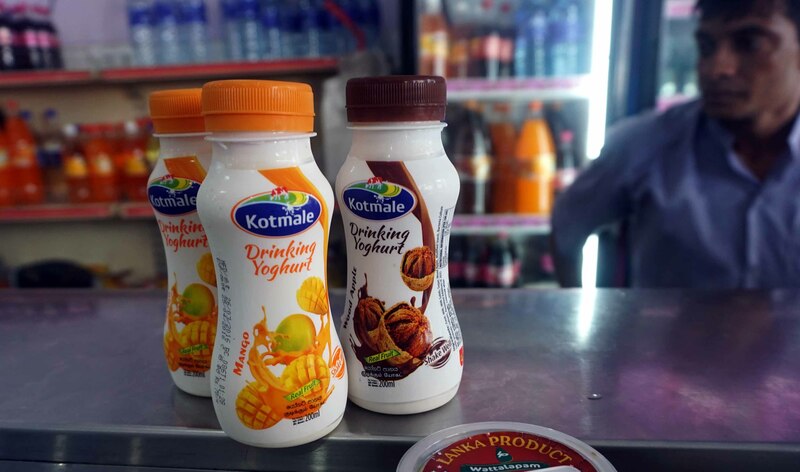 We just couldn’t get enough of the delicious drinking yogurt found in grocery stores are the country. It’s the perfect drink to cool down from the Sri Lankan heat. We tried many flavors like vanilla, mango and strawberry but the one that stood out the most was the Apple Wood flavor. A type of fruit native to Sri Lanka. As expected, sea food is big in Sri Lanka. 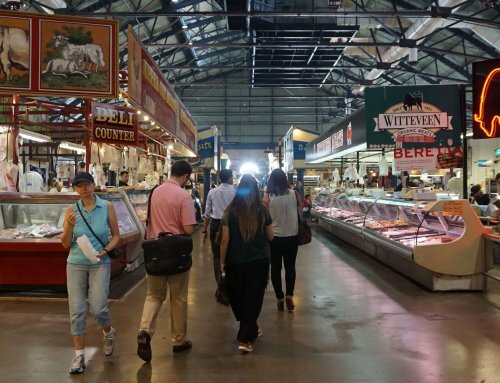 In fact, one of the main export industries is sea food! 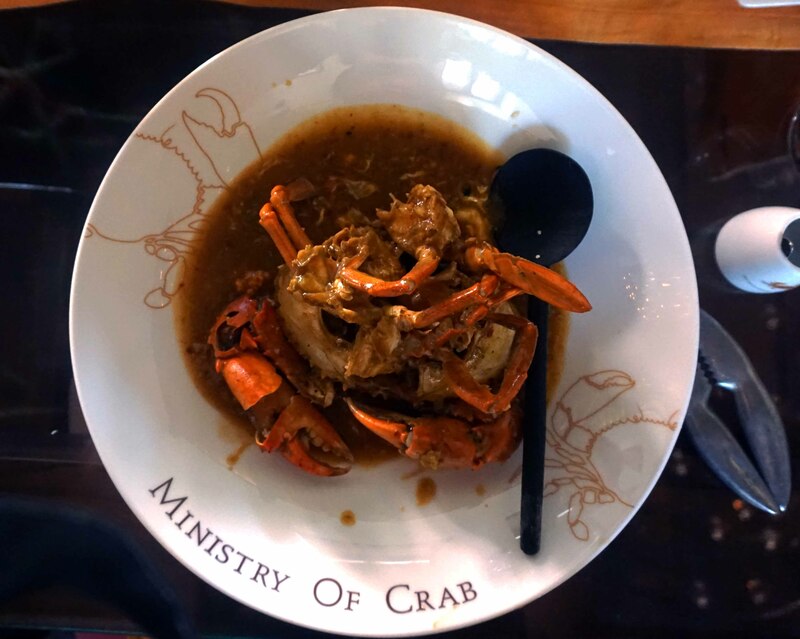 We tried our Chilli Crab dish at the famous Ministry of Crab in Colombo, and we weren’t disappointed. One note of caution, make sure to book a table in advance. 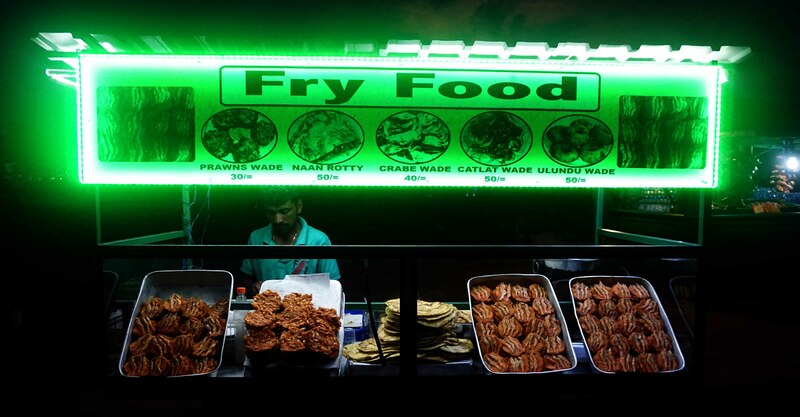 We just can’t get enough of street food snacks. Another snack we tried is a shrimp cake known as Isso Vadai. The dough is made from lentils and is topped with whole dried shrimps. Since it’s fried, the whole shrimp becomes a delicious crispy bite in your mouth. One heavenly sweet find is the Sri Lankan dessert Watalappam. This is very close to a creme caramel but comes in a darker brown color. The ingredients of this desssert is jaggery (a natural sugar that comes from coconut sap and is brown in color), eggs and coconut milk. We made sure to order this at restaurants or bought it from grocery shops every chance we had. 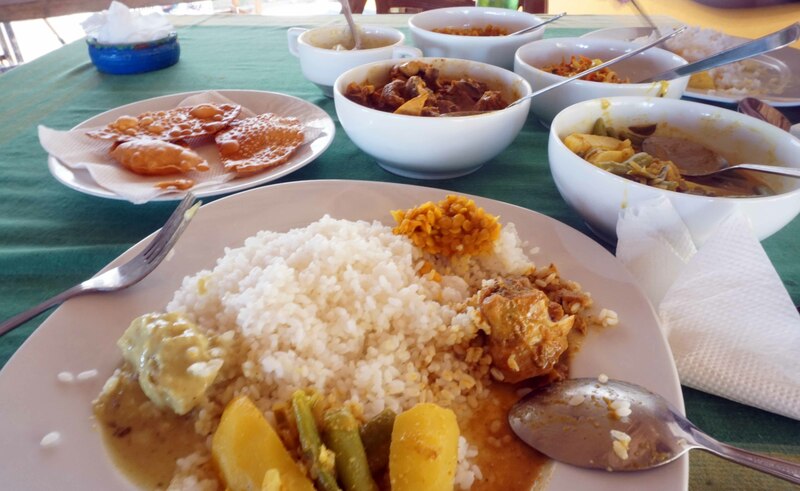 Curries are a staple meal in Sri Lanka and found in every Sri Lankan home and restaurant. 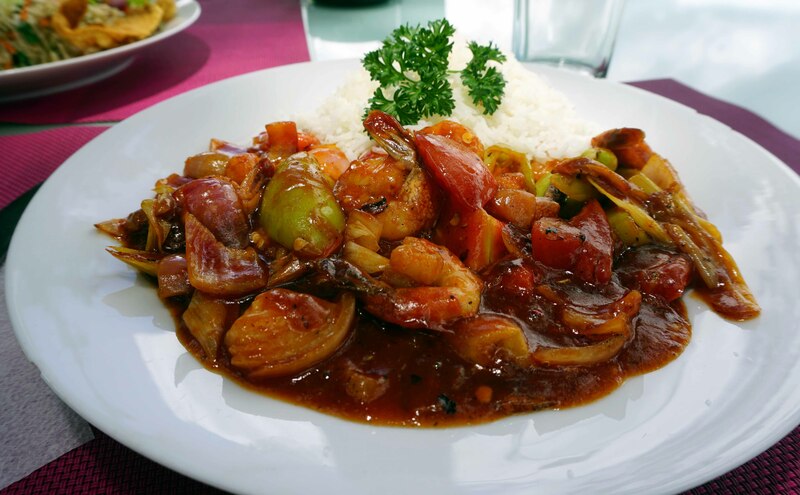 The most popular ones are vegetable curries like dhal, potato, and ash plantain. What distinguishes Sri Lankan curries from their Indian counterpart is the use of coconut milk with a special Sri Lankan curry blend.